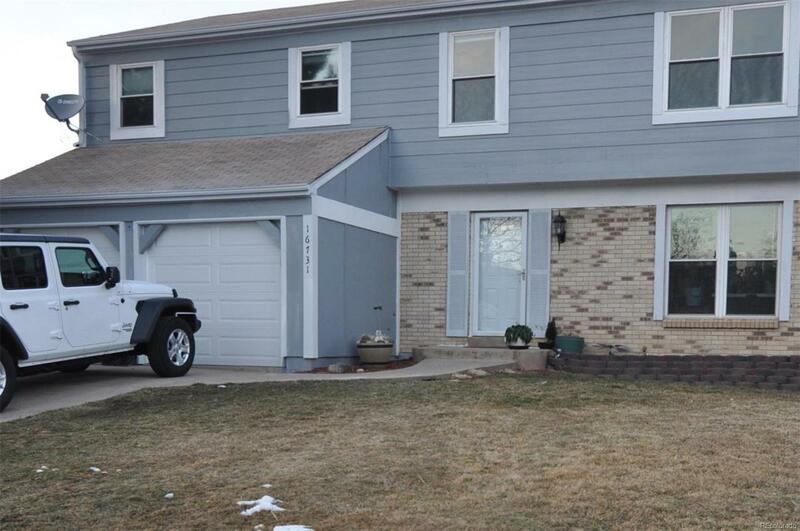 Don't miss this lovely 4 bedroom, 3 bath in Aurora. Curb appeal and landscaped on a cul de sac. Quiet neighborhood and friendly neighbors. Complete remodel, gorgeous floors, lots of natural light, open concept. Kitchen has all matching stainless steel appliances, tiled backsplash and an eat in area. All new carpet, hardwood, tile, counter tops, paint inside and out. New furnace and A/C units, 2 extra large master bedrooms with sitting area. Newer vinyl windows. Large backyard. Ideal location, walking distance to shops, stores and restaurants. No HOA! This gem won't last long, book your showing today!